The Museum of Latin American Art is hosting it’s first Print Fair & Festival highlighting artists who create printed works and publications. The festival will give visitors the opportunity to interface directly with local artists and independent vendors centralized in one location! The Print Fair & Festival is organized in support of MOLAA’s exhibition, Gráfica América and will feature live performances, demonstrations, panel discussions, artist vendors, free workshops and face painting! MOLAA is now accepting applications for artists to participate in the Festival. 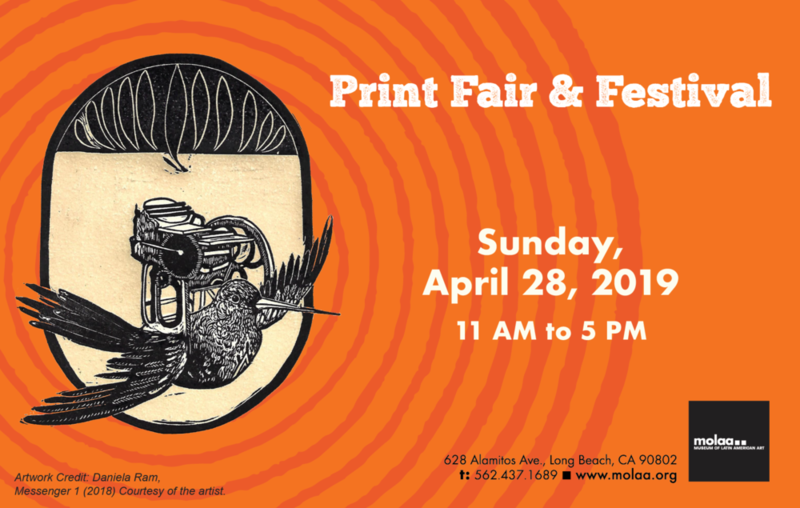 If you are a visual artist, independent publisher, zinester, designer and maker using print media and are interested in participating in MOLAA’s first Print Fair & Festival, click here to apply online. Gamblins’ site is an eye-dazzling information-bank. Mesmerizing videos showcase the process of luscious paint being made – a mix of chemistry and intuition. I found their Experience Color page informative and inspiring. It links to 15 entries that explore color theory, the behaviors of modern and mineral pigments and the various color palettes an artist can use for specific paint applications. Exploring Color Palettes page highlights 6 different color palette arrangements, for various approaches to painting. 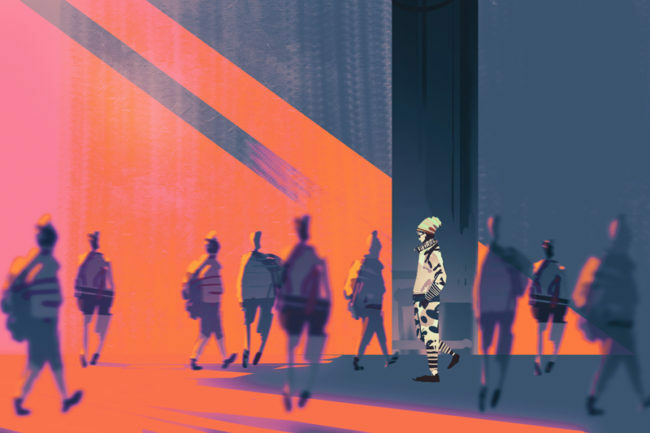 Among them, my favorite palettes are the Transparent Glaze Palette and the Old Master’s Palette – palettes I was introduced to while in art school by a deeply passionate painter and generous professor, Dominic Cretara. Dominic was a hyper-informed Italian painting professor with at least 50 years experience studying the work of the Old Masters. The exploring palettes web page further explores the colors used in each palette, by linking to pages with color samples that illustrate the transparency and depth of each color. As a traveler who never leaves home without a bag full of art supplies, I also enjoyed reading their Tips for Traveling with Art Supplies page. They give tips about what to say if you are traveling with paint, and supply a document you can use to prove to the TSA the flashpoint of each pigment. I will be printing out a copy in advance and storing it with my passport so that I am prepared for my next trip abroad. Gamblin Artist Colors website is an excellent resource for painters and printmakers to learn about the quality and the properties of Gamblins products. Their mission it to lead oil painting and printmaking into the future, using the highest quality pigments and binders, while remaining true to historic practices, with a goal of creating products that are safer and more permanent. IPCNY was established in Chelsea in September 2000 as the first and only non-profit institution devoted solely to the exhibition and understanding of fine art prints. IPCNY fosters a climate for enjoyment, examination and serious study of artists’ prints from the old master to the contemporary. IPCNY nurtures the growth of new audiences for the visual arts while serving the print community through exhibitions, publications, and educational programs.